Facebook is the most popular site in the world according to the three-month Alexa traffic rankings. Google has Dominated In Alexa Ranking. 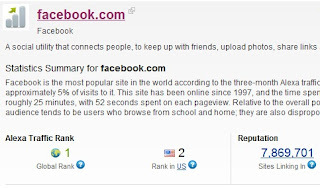 now facebook comes ahead of google in Global Rank and Google Stands at 2nd Rank. 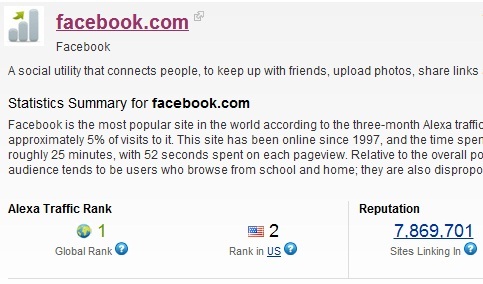 On US Ranking Google Ranked 1st while Facebook at 2nd Rank. Search engines refer approximately 5% of visits to it. This site has been online since 1997, and the time spent in a typical visit to Facebook is roughly 25 minutes, with 52 seconds spent on each pageview.